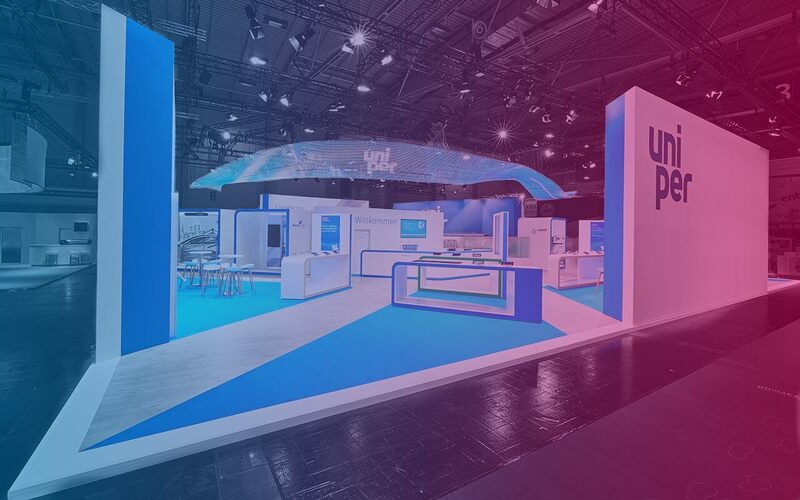 Massive, emotive and superlative – the project was to create a trade fair concept for the energy experts Uniper at E-world 2017. In short, it was about squaring the circle. Because what initially sounded comfortably routine proved to be an exciting challenge. How do you create a stand with massive five-metre walls, but still make it open and inviting? How do you position the company as a whole when clearly distinct product and discussion areas are required? How do you transpose puristic corporate design to eye-catching architecture? These are questions that Service Factory was able to answer flawlessly. Something which was recognised twice over, incidentally: not only did the agency beat three others in the pitch – it was also immediately contracted for the following year too. Will the next stand likewise weigh 100 tonnes in order to stabilise the walls? Will it likewise be topped off with a spectacular light sculpture? Our lips remain sealed. But one thing that’s certain to make a reappearance is delighted event visitors and happy customers. Because one thing above all was spot on: the energy.